Savings, Money Market Accounts or Certificates of Deposit (CDs)? Saving money is hard! While we all most likely identify saving money as a goal and have the best of intentions, it is amazing how life “happens” and gets in the way. Whether it is an unexpected trip to the doctor, the air conditioner on your car making those funny sounds and then stopping, or simply the need for new back to school clothes for the kids. There never seems to be an end to the expenses that pop up. There’s no doubt saving isn’t easy, but it can be done through disciplined budgeting and spending, and the peace of mind you’ll enjoy when you have money saved will reduce the stress and uneasiness felt at times of unexpected emergencies. As you save, one of the questions our bankers receive frequently is where to save? It seems banks have confused consumers with all the different accounts they offer that can serve as great places to save your money, so we thought we’d provide a basic overview of the different savings instruments that exist at banks — Savings Accounts, Money Market Accounts and Certificates of Deposit. What is the difference between these account types? First, let’s start with the similarities. All of these accounts pay various interest rates dependent on different factors. They are also all insured by the Federal Deposit Insurance Corporation (FDIC), which simply means the deposits and interest you earn are protected up to the maximum amount allowed by law. A Savings account is simply an account that earns interest on your balance to grow your savings. Many times, you earn higher rates with higher balances and each bank sets their own rates. You can also typically link your savings account to your checking account for automatic transfer and overdraft protection saving you fees. It is important to note that savings accounts have limits on withdrawals or transfers made monthly. It should not be used in lieu of a checking account. In many ways, a money market account is a combination of a savings account and a checking account. 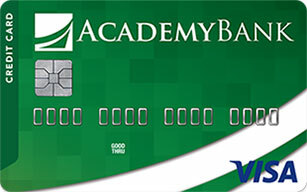 The account earns interest like a savings account, they typically include check-writing capabilities and an ATM card. This allows you easier access to your money than a savings account. It should be noted that many times a money market account has higher balance requirements in order to earn higher rates. As with a savings account, these accounts have limits set by law on the number of withdrawals or transfers that can be made each month. Click here to learn about our current Money Market rates. How much do you have to deposit and maintain in the account. Money market accounts typically come with higher opening and minimum balances to avoid fees than savings accounts. How you want to access the account – do you only need an ATM/debit card or do you want check access? Interest rates – as noted, money market accounts typically pay higher rates than savings accounts but that has to be looked at along with required balances to maintain and open the account. Fees can easily offset any benefit from higher rates. If you can maintain the required balances in a Money Market Account, that will probably be the best option for you given the higher interest rate that may be offered, but ultimately that is a decision you need to make based on your needs. The third account type that works well for savings is a Certificate of Deposit (CD). Similar to a money market account, a CD commonly has a minimum deposit or balance requirement. The biggest difference with a CD is that you cannot access the funds until the maturity date. Common maturity dates range from three months to five years. If you attempt to access the funds prior to the maturity date, you must pay an early-withdrawal penalty. Generally CDs pay higher interest rates than savings and money market accounts; however, you will have restricted access to the funds. CDs are a great savings option for those who don’t need access to cash for a set period but want to minimize risk. It is also important to note that these accounts can be used together. You could place money you might need soon in a Money Market and funds you don’t expect to need for a while in a CD to increase the interest you earn. There are many great options available to you for a safe place to save your money. Each of them have unique characteristics. We invite you to visit one of our branches to learn more or check out the great rates we’re offering by visiting our web site. Click here to learn about our current CD rates.